Repairs to the Salesforce Transit Center are about to hit a major milestone, transit officials said Wednesday. Large hydraulic jacks supporting the Salesforce Transit Center at Fremont Street are set to come down within “weeks,” said Dennis Turchon, senior construction manager at the Transbay Joint Powers Authority, which operates the transit center. Those support jacks were put in place in October after steel cracks were found in beams at the $2.2 billion transit center, prompting its closure. A reopening date has not yet been announced, but Turchon said construction work is on track to finish by June 1. Turchon and a Transbay Joint Powers Authority spokesperson led reporters on a tour of the facility Wednesday to see the repair process up close. Twelve-feet long steel plates that were machined in Pennsylvania and delivered to the Stockton-based steel fabricator, Herrick, in March were ready to be installed to reinforce the building where the cracked steel beams used to be. A building review has found no additional issues to date, according to the TJPA. Once construction is done, Turchon emphasized re-opening won’t be as easy as flicking a switch. An independent peer review called for by the Metropolitan Transportation Commission must also be completed, which may require additional inspections, according to the TJPA. The building must also be recommissioned, which requires further inspections and permitting from city and state agencies. 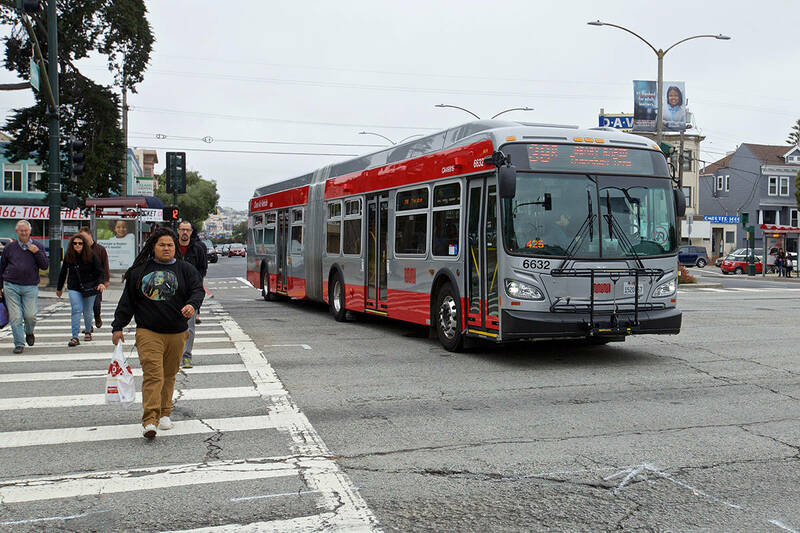 Bus operations must also be planned and transitioned from the temporary Transbay Terminal, which includes coordination with AC Transit and the San Francisco Municipal Transportation Agency. Shopkeepers and cafe-operators must rev up operations again. In short, it won’t be quick.